I love the first chapter of Nehemiah, which was the topic of our sermon Sunday morning. As I was thinking more on the passage, I saw something else in the passage that I did not mention. The beginning of the passage mentions how the people in Jerusalem where “in great trouble and disgrace.” Other translations say “great affliction and reproach” or “great distress.” They were troubled because of all those who lived around them who were giving them such a hard time. Nehemiah is troubled for a couple of rea-sons. One is the condition of the wall. The second is the condition of the people. Nehemiah wants to protect the people and so the answer is to rebuild the wall. Many of our people in our nation today are in trouble and disgrace because of what the people around them are doing. Many Christians are in trouble and disgrace because of the sin of the world that surrounds them. Their lives and their loved ones are even being affected and influenced by the corruption of the world. The answer is just as simple today as it was then. We must rebuild the wall. We need to build some barriers between us and the sinful influences that surround us. There are some TV shows we need to turn off. There is some music we do not need to listen to. There are some people we need to stay away from, except to tell them about Jesus. There are some sins we need to remove from our lives. What troubles me is that the people did not rebuild the wall themselves. Nehemiah was no stone mason or architect. If he could do it, the people could have done it, but they didn’t. The truth is that they did rebuild it once Nehemiah encouraged them to do it. What is your plan of protection for yourself and your loved ones? 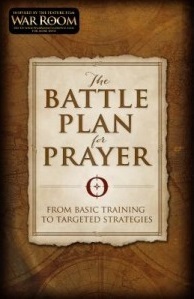 The Battle Plan of Prayer is an instruction manual on “wall repair.” I hope you will get in a group and study through this book with us. It’s so easy. Get a copy of the book and find a few friends to talk about it with. Commit to praying for each other and watch what God will do. You can meet anywhere at any time. You can join a group at church. It will make a difference in your life. Does it ever seem like your prayers bounce off the ceiling? Do you ever wonder why your prayers are not answered? There are answers to these questions and with a few small changes in your prayer life, big things can happen. Our Fall Emphasis is Prayer. This morning, I want us to look at the prayer of a man that God used in the Bible. He prayed a very specific prayer and God answered his prayers. Let’s see what we can learn from the way Nehemiah prayed. Nehemiah 1:1-11 (NIV) In the month of Kislev (in the fall, perhaps October) in the twentieth year (in the reign of Artaxerxes, 445 BC), while I was in the citadel of Susa (Persia, modern day Iran), 2 Hanani, one of my brothers, came from Judah with some other men, and I questioned them about the Jewish remnant that had survived the exile, and also about Jerusalem. The Bible tells us the story of God’s people, Israel. God blessed them and they rose to be a great nation of the world. But in the course of time, they turned their back on God and became more interested in pleasing themselves. God warned them over and over again that He would punish them for their sin, but they refused to listen and repent. Finally in 586 BC, Israel was destroyed by Nebuchadnezzar and the Babylonian army and most of the people were taken into captivity in Babylon. After some time, Babylon was overtaken by Persia and this is where we pick up the story today. The date of our story is 445 BC, 140 years after Jerusalem was destroyed. Much of the city still lay in ruins. The city was now inhabited by those who were left behind and those who had returned from exile in Babylon. They had rebuilt the temple in 516 BC, seventy years after the first was destroyed, just as the prophecy foretold, and many homes had been rebuilt, but the wall still lay in ruins, after another 70 years since they rebuilt the temple. This left them defenseless from their enemies and the people were being harassed and distressed. There was great trouble and disgrace among the people brought on them by those who surrounded them. This greatly troubled Nehemiah. Nehemiah was troubled at the condition of the people and the wall and he mourned and fasted and prayed. Many of us are troubled with the state of our country. We are troubled with the moral condition of our people, the state of our people, our schools, and our families. Our prisons are full. Industries of sin grow and thrive. Our nation is in a mess. So many have turned from God and seek only for themselves. There are so many things that come after us and our children. How many of us have distressed over our nation and we wonder if revival is even possible. Will our nation ever turn back to God? Is our heart broken like Nehemiah’s heart? Do we mourn over the condition of our country? Are you ever brought to tears for those you love and for this nation you love? Nehemiah was driven to fast and pray for his homeland, that he had probably never even seen. While we might be willing to pray for our nation, have we ever been willing to fast to see God move? Will we give up a few meals to see God heal our land? So often, all we do is talk about the problems when what we really need to do is get on our knees. We must show God our sincerity and our desperation by even skipping a meal and spending that time praying to the one who can do far more that we could ever do. We are not powerless until we are prayerless. We are going to learn four things today that are going to improve your prayer life. “Lord, the God of heaven, the great and awesome God, who keeps his covenant of love with those who love him and keep his commandments,(Dan 9:4) 6 let your ear be attentive and your eyes open to hear the prayer your servant is praying before you day and night for your servants, the people of Israel. Our prayers should begin with praise to God. So often our prayers are just a list of needs, things that we want to get from God with no recognition of who He is. Spend some time praising God and thanking Him for the things that he has done in your life. Psalms is filled with words of praise to God. The Bible says that God inhabits the praises of His people. Do you want God to show up in your prayer time? Spend some time praising Him. Nehemiah does that very well. In fact, he is quoting the prayer of Daniel 9:4. He prayed as Solomon and Daniel prayed, that God would be attentive to his prayer. He asked God to answer his prayer. I confess the sins we Israelites, including myself and my father’s family, have committed against you. 7 We have acted very wickedly toward you. We have not obeyed the commands, decrees and laws you gave your servant Moses. We are a part of the problem. So much has gone wrong because we have stood back and let it happen. We have entrusted so many things to the government that are our responsibility. It is our responsibility to educate our children and to take care of the poor. We have the same problems in the church that others have. Our divorce rate is similar. Our health is just as bad. Many of us are in debt. We have to recognize our sins. We have to get our own lives straight. We have to repent and turn back to the Lord ourselves if we ever expect God to move on behalf of the entire nation or even for the personal requests that we make. Repentance is a huge part of seeing our prayers answered. This is perhaps the most surprising part of Nehemiah’s prayer. Why would Nehemiah have to remind God of his promises? God does not forget. Certainly he is encouraging God to answer his prayer. He is reminding God why he should answer his prayer. This shows us some important about Nehemiah than it does about God. God is not going to forget and God wants to answer our prayers. But this tells us that Nehemiah knew the Word of God. He knew the Bible. Here is Nehemiah, a Jew who was born in captivity. He is at least a third generation exile. It was his great-grandparents that left Israel and he still knows the Bible. He still understands the covenant God made with his people. The faith had been passed down and he heard it and learned it and valued it. Do you know your Bible well enough to remind God of his promises? Can you pray, “God just as you did for Gideon, do for me? Just as you did for Paul or Peter, Abraham, Isaac, Jacob, Moses or Daniel, do for me.” We cannot know what kinds of prayers God wants to answer if we are not a student of the Bible. We are just shooting in the dark. Know God’s promises and remind Him of them. Then God will know that you are serious in your prayers. Nehemiah’s prayer was simple. “Give your servant success today by granting me favor in the presence of this man, the king.” Nehemiah wanted to make a difference to Jerusalem. He sensed that he could do something and he was willing to do something about the problem. How often do we say “Somebody needs to do something about that” when we are just as capable as anyone? The walls were torn down and Nehemiah was a cupbearer. He was not a stone mason or an architect or an engineer, but he knew that he could make a difference. At the same time, he was under the authority of the king. Being a cupbearer was a good position. Some might equate it to a national security officer. The cupbearer was in charge of making sure the king’s food was safe. It was a job of protecting the king. It was an important role. It was a role that gave Nehemiah access to the king. This is shown in the king’s response to him. God answers the prayer and the king helps Nehemiah to get back to Jerusalem and gives him what he needs to repair the wall. God is willing to answer our prayers. When we pray with requests that line up with God’s character and what God wants to do, we can expect him to answer us. When we come in sincerity and in faith and in obedience to God, we can expect him to answer us. Our hearts broken over the destruction we sin in our lives and in the lives of those close to us. Do we weep and mourn over the prodigals and the runaways in our lives? Do we fight on our knees for those we know who face deep struggles and addictions? Are we pleading with God for protection for our children as they go out into the world each day? So many of us do so little to make a difference in the things that we claim to care so much about. It is time for us to pray. Repent of Your Sins and the Sins of Others. Remind Yourself and God of His Promises.